This classy neck tie combines elegance and perfection. The tie is an exclusive accessory of Italian craftsmaship and creates an aura of elegance around the wearer. The charming checkered pattern is a perfect match for the radiant colors. This exclusive LORENZO CANA desginer neck tie is unbelievably smooth and sumptious. Presented in harmoniously aligned colors with unique luminosity and magnificent sheen, this tie is the perfect companion on every occasion. 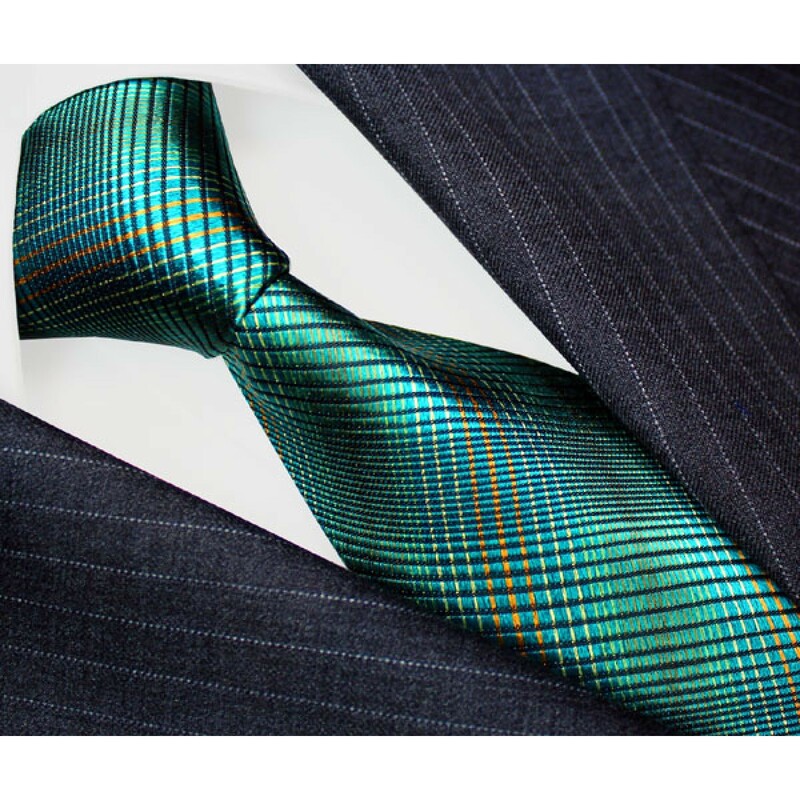 Distinguish yourself in style at the next wedding, party, or the opera ball or impress your collegues in business meetings with the elegance and quality of this high-end men's necktie. 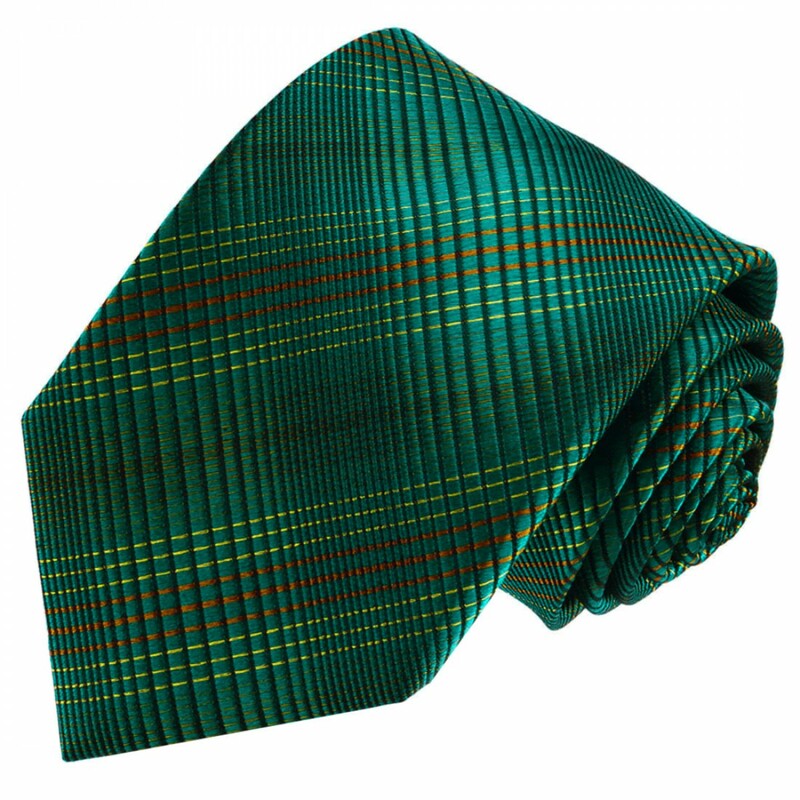 Combine this tie with a pocket square and a tuxedo, black suit or charcoal suit and become the epitome of elegance.